According to the 'gill-oxygen limitation theory' fishes are expected to decline in size. Toronto: Fish are expected to shrink in size by 20 to 30 per cent if ocean temperatures continue to climb due to climate change, a study has warned. The study by researchers at the University of British Columbia in Canada provides a deeper explanation of why fish are expected to decline in size. "Fish, as cold-blooded animals, cannot regulate their own body temperatures. When their waters get warmer, their metabolism accelerates and they need more oxygen to sustain their body functions," said William Cheung, associate professor at the Institute for the Ocean and Fisheries. "There is a point where the gills cannot supply enough oxygen for a larger body, so the fish just stops growing larger," said Cheung. 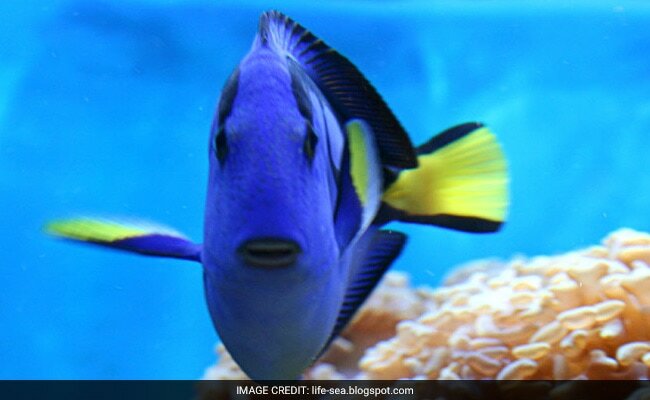 According to Daniel Pauly, the study's lead author, as fish grow into adulthood their demand for oxygen increases because their body mass becomes larger. However, the surface area of the gills - where oxygen is obtained - does not grow at the same pace as the rest of the body. He describes this set of principles that explains why fish are expected to shrink "gill-oxygen limitation theory." For example, as a fish like cod increases its weight by 100 per cent, its gills only grow by 80 per cent or less. When understood in the context of climate change, this biological rule reinforces the prediction that fish will shrink and will be even smaller than thought in previous studies, researchers said. Warmer waters increase fish's need for oxygen but climate change will result in less oxygen in the oceans. This means that gills have less oxygen to supply to a body that already grows faster than them. The researchers said this forces fish to stop growing at a smaller size to be able to fulfil their needs with the little oxygen available to them. Some species may be more affected by this combination of factors. Tuna, which are fast moving and require more energy and oxygen, may shrink even more when temperatures increase, researchers said. Smaller fish will have an impact on fisheries production as well as the interaction between organisms in the ecosystems, they said.